Description: This new Limited Edition of the classic Athena lamp, with its beautiful symmetry in graduated color glass, has eighteen brilliant Swarowski crystals embedded within the surface of the glass. 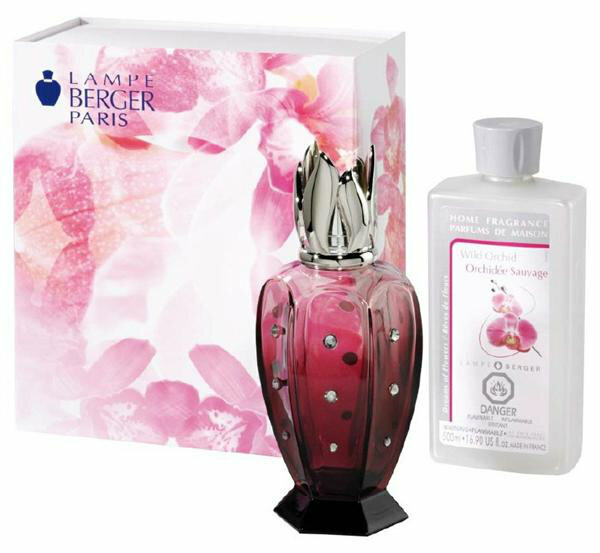 This Lampe Berger lamp is supplied with a burner, instructions and a 500 ml bottle of Wild Orchid. Height: 7.5"